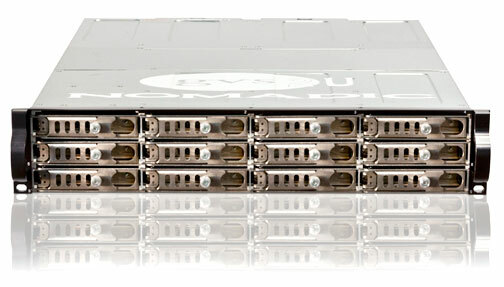 The GVS Nomadic 2U-Series Platform, built on Nomadic proven scalable technology, accelerates high-speed demanding production and increases speed-to-share users with ultra-fast primary storage for mission critical, high transactional, and random access volume-based applications. The Nomadic 2U-Series surpasses the limits of traditional primary volume storage, delivering over 8GB per second and 512 gigabytes per second (GBps) of aggregate throughput—all from a single volume system. • Drive capacities 15,000 RPM, 10,000 RPM, 7,200 RPM 900GB-4TB, 6TB SATA/SAS Enterprise Drive with, SSD (SLC) drive technology for MetaData . • LED drive states, front or back LCD display (opt). Businesses and organizations across diverse industries need to manage and quickly transfer large files over a wide area of networks. They also need to ensure that these files are delivered on time within a given data transfer window despite through varying network conditions and bandwidth capacity. Nomadic 2U-Class have partnered with StorNext with MetaDate to create the first predictable, non-disruptive high performance Wide Area File and Content Delivery solution designed specifically for moving large files along any distances, at the fastest possible speed over fiber channel network. Enterprise Support for Nomadic, a hardware controller running directly on Nomadic 2U SAN storage, provides a built-in cluster-aware and is randomized for high-speed file transfer technology. With impressive performance benchmarks, the Nomadic 2U-Series affords the best dollar per I/O solution available. High utilization rates of 80% means more storage with fewer spindles, reducing capital outlay and increasing storage efficiency The single volume system and simple architecture can be managed for real-time duplication. 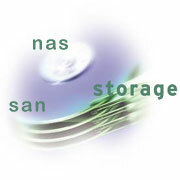 Managing the distribution of large file sets is easy with the Nomadic 2U-class SAN storage platform. Through a single volume, single file system, we've taken the complexity out of storage management tasks allowing easy management of all your data in a single pool of storage from 12TB to multiple PB (4.8PB). As file transfer needs expand, simply add performance or capacity to the Nomadic cluster, without having to manage servers and storage separately. The Nomadic Enterprise SAN Storage tiers into a single, common storage and transfer management pool for all your server and workstation. Performance and capacity can be adjusted without any downtime. If more performance is needed, simply use the Nomadic web interface to assign more fibre channel bandwidth to a transfer across the cluster. In the rare event of a controller failure, Nomadic users are seamlessly redirected from one controller to another through back-plan cross bar, where the discounts have no effect to data being accessed over the fibre channel switch. Nomadic Enterprise Storage eliminates the need for high end switches since Nomadic 2U delivers with eight fibre channel port, so even the largest file transfers are completed in a predictable manner within dropping frame. where portions of the cluster are dedicated to the clients, or other servers connected to the same Nomadic cluster during shared usage periods. Nomadic aggregate bandwidth management capability provides cluster-aware bandwidth throttling across the Nomadic cluster. As content delivery needs shift, the Nomadic volume provides a control console to manage performance and bandwidth across all transfers. With the Nomadic large file and data sets transfers over cluster nodes, allowing massive Eight 8GB per second throughputs in seconds, as opposed to hours. As content delivery needs to shrink during off-peak hours, administrators can simply "scale back" transfers across fewer Nomadic Fibre-channel ports, which can then be reassigned to other machines or devices that do require access without a need for a Fibre Channel switch. You can install, configure and have the Nomadic 2U-Series cluster online in under 10 minutes, without specialized services or certifications. A single file system and single global names pace 60-second on-the-fly scaling of capacity and performance Up to N+6 on-the-fly data protection, set at the cluster, volume, or file level access with GVSan, Xsan, StorNext technology. Key applications for the Nomadic 2U-series include Natural Resources, Government, Media and Entertainment, Life Sciences and Enterprise-class Video. Other applications include: in-house post-production, video surveillance, seismic monitoring, 3D modeling, pharmaceutical trial data, genome sequencing, imaging, editing and transcoding, digital media asset archives, and more.